The first step to creating a Project is to click the “Add/Edit Projects” button under the heading “Projects”. 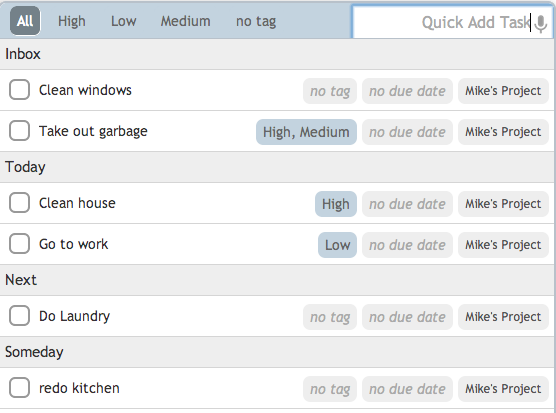 As you can see in the following screen shot, you can very quickly see where all your tasks assigned to your ‘Project’ are, no matter if they are in your ‘Inbox’, ‘Today’, ‘Next’, assigned to a person, or even if they are scheduled for review at a later date — they will still show up here. 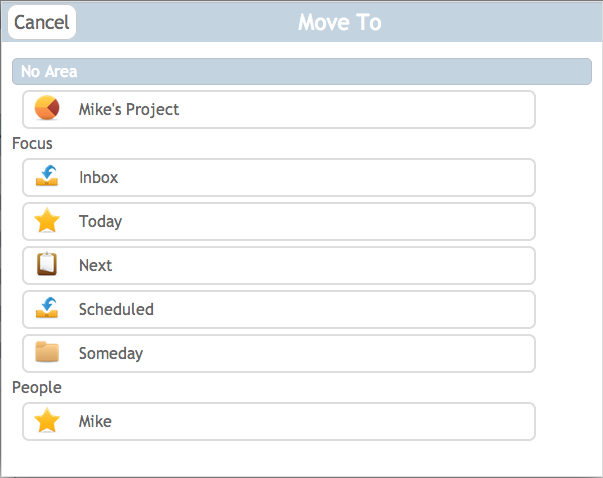 And, of course, you can still drag & drop your tasks, reorder tasks, or to put them into a different folder, just like in your other views. You can also click to edit the task or click the note icon to see the note. You can click on your Project in the left column and just add a task the usual way (via the Quick Add at the top right corner or the Add button on the bottom right corner). You can click on the Project button to the far right of a task and select the Project from that list. If the task does not belong to any Projects, the button will read ‘No Project’. 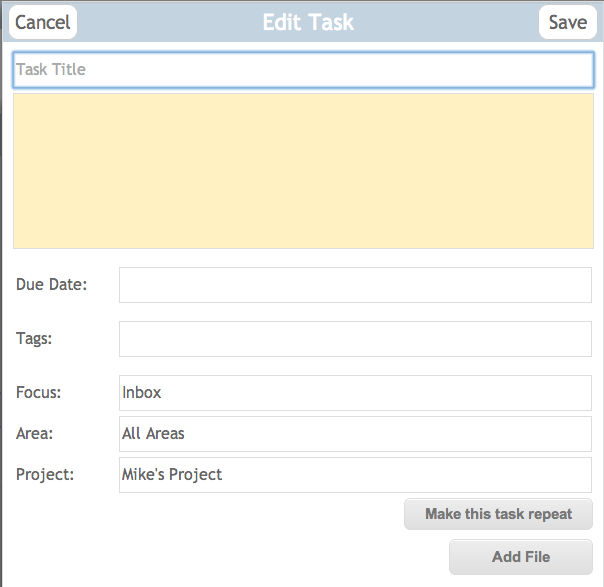 Lastly, you can assign the task to a Project via the Edit Task dialog.